From August 1st, 2015 they will change the rules in everyday life. Nothing is equal before the law: birth, marriage, children and even die. That day will come into force on the new Civil Code of the Nation, which is a private life that the Constitution is public, in the words of its ideologue, President of the Supreme Court, Ricardo Lorenzetti. The new law will bring very specific changes, which are, according to experts, an effort update to the lifestyle of today’s society. So, fidelity disappears as marital duty and infidelity as grounds for divorce. People who marry may choose whether to live together and if they share their property. Those who choose not to marry can sign a cohabitation agreement and determine what it’s up to each if separated. To divorce will reach that one of the two wants, and disappear the causes and deadlines. The children have to hear both lawsuits as everyday decisions; for example, to leave the country with a child over 13 years is not enough traveling both parents. We will have to ask the guy if he wants to leave the country, like before making a medical practice. This, by setting out just some of the achievements in family life. The previous Code which governed for 144 years, reflected another type of society, responding to a single model of family and a vertical relationship. But there was also outdated to continue to regulate the daily life of the Argentines. So five years ago, at the initiative of the national government to a committee of 100 lawyers, coordinated by Lorenzetti, by the judge of Supreme Court Justice Elena Highton de Nolasco and former member of the Supreme Mendoza court Aida Kemelmajer Carlucci was convened. After a year of discussions, they prepared a draft in 2012 gave the government, which after making a series of amendments, sent to the National Congress. He underwent more than 15 public hearings across the country, where over 1200 papers concerning who wanted to review the changes that were being received. However, according to Deputy Pro complaint Pablo Tonelli, who worked closely on the project, “the contribution of citizens in public hearings was ignored. No resulted in any concrete change in the text of the Code.” Two and half years later Congress into law. From the day after tomorrow, the daily lives of Argentines must abide by these new rules. Name. When enrolling their child, parents can put up to three names. The text does not speak of parents but “filial ties” and states that no one can have more than two. All children of the same couple must bear the same surname or surnames integration made bearing the first child. Genetic alterations. Practices are prohibited aimed at altering the genetic makeup of the offspring, except that tend to prevent genetic diseases. Children heard. It recognizes the right of children to be heard, not only before a judge, in processes that involved. Teenagers from 13 years should establish its consent to certain medical treatments or even to leave the country with his parents. They can be themselves noninvasive studies. Over 16 invasive medical practices may be made without the consent of their parents. To marry must be 18 and the concepts of man or woman are replaced by “spouses”. Code is added to equal marriage, with all its scope. End of fidelity. Disappears marital duty of loyalty and adultery no longer exists as grounds for divorce. The couple is not required to live and disappears the duty of “mutual respect”. Instead food assistance should be. Pre- and post-nuptial agreement. By marrying can choose not to share or property. The decision can be changed once a year and must be certified by a notary. If they choose the regime of separate property, each takes its heritage as if I was not married. Opt for a regime or another can have economic implications on the tax question. Marriages already established before it enters into force the new Code must wait a year to opt for a system of separation of property. Cohabitation agreement. Those who do not marry can choose to sign an agreement with longer ranges than the marriages. In case of separation can point out what happens to the house, what kind of education their children will have and who will care for them, what will happen to pets and property. They may also set a reward or compensation in the event of a member end the relationship. Without agreement there equal rights. The law recognizes rights to couples but not certify or sign a cohabitation agreement. They are not property or inheritance rights, however, in case of rupture or death, a judge may decide that housing will temporarily corresponds to one of the two, but not the owner, especially if there are children, but also if that person has no other place to live or if he left “injured” by the other’s decision to end the relationship. You can ask for compensation or financial reward. Besides, I could live in that house for time equal to that relationship lasted. Lord and lady. Either spouse may choose to use the surname of the other, with or without the preposition “of”. Out divorce. It changes the way of divorce. They disappear deadlines and causes. It will not prove to a judge who was at fault of marital failure nor be required to make a therapy to restore the relationship. He reached with one of the two decide to break the couple. For that, you must develop a plan to present to the judge, proposing how family life has since organized: expenditure, housing, children, debts and so on. The other part of the couple could learn such a decision, to take judicial notice. Universal protection of housing. A married person or in convivial union may not sell or rent the family home without the consent of their spouse or partner. There are new terms and criteria that are installed with the new Code. It removes the concept of “ownership” of the sons and replaced by “care”. He no longer speaks of “custody” but of parental responsibility. Either father or mother but affiliate link. No longer a visitation, but a communication system. The criterion of “procreational will”, according to which paternity is not defined by a biological link but by the desire to have a child appears. Surrogacy. The draft envisaged and regulating surrogacy. Something that caused the rejection of the most conservative sectors of the Church itself. Finally the article was excluded. Assisted reproduction. Although it was established that the subject of a specific law, the 26,862, introduced the concept of “procreational will” as a determinant of assisted affiliation, beyond the genetic affiliation. It states that if a couple can not become pregnant and decide to use assisted fertilization, using donor eggs or sperm, the affiliation will not be determined by the genetic material procreational but by the will of the couple. When the child is born you will be considered legitimate child of the couple, who can not contest paternity claiming genetic reasons. Postmortem. The draft provides for the possibility of assisted fertilization after the death of one of the partners was made. This also excluded. And he emphasizes that centers must certify the authorization of the parties at the time of embryo implantation. Biological origin. People born through techniques of assisted reproduction have the right to know their biological origin. The medical center must keep a record, to which the child can access through court filing in certifying the reasons why you want to know that information. Adoption. The changes in the Code should mean a fast track processes, and that judges should be resolved within a maximum period of nine months on the situation of children growing up without parental care. At this time they must decide whether to declare or not adoptable. If not, you should return to her family of origin. But if this is not possible, for example because the situations which would remain away from home, should be authorized adoptability. Moreover, only valid adoptions of those that have been processed by registration in the Single Registry of Applicants for Guardianship with Adoption Purposes. The new Civil Code prohibits direct deliveries and guards in fact end up in an adoption. Related children. A figure that recognizes the rights and obligations of the partner of the mother or father who is in charge of the care of children. It creates the related mother or father is entitled to be recognized by certain institutions. Such as in schools, or hospitals and sanatoriums.Moreover, you can not ignore the food and care of the child if the end of his relationship with the parent. In all these cases, the bond of father or mother shall be subject related to the presence or not of the actual mother or father. Parents with a plan. Parents who decide to end their relationship should be established before Justice parenting plan, an agreement that includes the modalities under which child care play.This plan can set the time and place where the boy will remain with each assume their responsibilities, holidays, significant dates with family and everything related to communication between the child and the parent who does not live . To approve the plan, the judge will hear if the boys are or disagree with this proposal, or propose something different. End of corporal punishment. The new Code specifically prohibits corporal punishment of children in all its forms, which in turn was contemplated by the previous Code. The existence of the person ends by death, provided for in Article 93. The verification of death is subject to accepted medical standards, applying special legislation in the case of removal of organs. It also states that the absence of a person from his home without news of it has for three years to presume his death. Heritage. The new Code modifies the percentage of legitimate inheritance, ie increasing from 20% to 33.3% the proportion of the inheritance that someone can let another person or institution, regardless of the existence of a family tie . This benefit, for example, who are not married, and that coexistence, certified or not, does not give inheritance rights. Family trusts. The new legislation facilitates the creation of family trusts, that is funds that are created to be administered for a particular purpose.For example, someone who has a child with disabilities, or elderly parents and wants, besides heredity, leave resources to live and do not pass any need. Declaration of incapacity. The new legislation eliminates the permanent nature of the disability statement. Instead, it will be for a specific purpose, such as the use of their property, which must be renewed every three years. And it includes the possibility of it by psychological factors or addictions of different types, for example, to play. Dignified death. In circumstances of irreversible terminal illness or condition, you should consider the person’s decision to reject or accept extraordinary procedures and disproportionate to the possibilities of improvement or has the sole effect of prolonging a terminal in that state lifelife condition. This entry was posted in News on July 30, 2013 by Elias Kier Joffe. Nuestros abogados de inmigración cuentan con la preparación y experiencia necesaria para responder a todas las preguntas relacionadas con inmigración y resolver problemas con comprensión y dedicación. La asesoría legal eficaz acerca de la inmigración se basa en la respectiva situación personal y profesional de cada cliente, así como en sus metas a largo plazo para vivir y trabajar (o bien jubilarse) en los Estados Unidos. Existen varias posibilidades para visas y tarjetas de residencia, algunas de las cuales pueden aplicarse a la situación y a las metas del solicitante. Si usted desea recibir una visa de inversionista, una tarjeta de residencia a través de un Centro Regional EB-5 para inversionistas, una visa basada en el empleo (visa de trabajo) o una tarjeta de residencia permanente al ser transferido(a) por una compañía o en virtud de sus habilidades extraordinarias, o si califica para emigrar en base al matrimonio con un ciudadano de los Estados Unidos o a través de sus lazos familiares, resulta conveniente planear el caso con estrategia y orientación legal eficaz para asegurar que las necesidades (tanto suyas como las de sus dependientes) se reúnan a largo plazo. Mediante tratados negociados con Argentina, Estados Unidos ofrece a los ciudadanos argentinos la posibilidad de solicitar visas de comerciantes E-1 y visas de inversionistas E-2 en el marco del tratado. Visas de inversionistas EB5 se aplican con mayor frecuencia para los individuos extranjeros ricos que quieren trasladar a su familia a los EE.UU. o grandes corporaciones extranjeras que deseen establecer una fuerte presencia comercial en los EE.UU.. Los ciudadanos de cualquier país pueden calificar para solicitar una visa de inversionista EB-5. Inversionistas EB5 aprobada recibirá una tarjeta verde de Estados Unidos y son elegibles para solicitar la ciudadanía estadounidense después de residir permanentemente en los EE.UU. durante 6 meses o más durante 5 años consecutivos. Invertirá $ 500.000 en un centro de inversión EB5 regional en un área de empleo. La aplicación más simple y común visa de inversionista EB-5 implica una inversión de $ 500.000 en un centro regional de inversiones EB5. El inversionista EB5 no está obligado a ser activos en el negocio si una inversión de $ 500.000 en un centro regional de inversiones EB5. Por lo tanto, el inversionista EB-5 es “simplemente” la compra de una tarjeta de residencia para ellos y sus familiares directos (cónyuge e hijos). EB5 centros regionales de inversión en general, son las grandes empresas privadas que han fijos proyectos a largo plazo o la intención de vender el negocio de venta privada o la oferta pública dentro de 5 años o menos. Por lo tanto, se requiere que los inversionistas EB5 para mantener su inversión de $ 500.000 en el centro regional de inversiones por un mínimo de 5 años y luego ese dinero se suele volvió con interés o una participación en los beneficios. El único problema con este tipo de aplicaciones EB5 centro relacionadas con la inversión regional es el solicitante deberá acreditar que los 500.000 dólares procedían de fuentes lícitas. Ejemplos de fuentes legales serían de empleo, un negocio, herencia, donación, préstamo, etc. Sin embargo, tenga en cuenta que la “fuente original” de ese dinero debe ser legal también. Por ejemplo, un traficante de drogas conocido no podía don dinero obtenido por el tráfico de drogas a su hijo y luego tener tal hijo usar ese dinero para invertir en un centro regional de inversiones EB5 como tal sería una fuente de “ilegal” de fondos. EB5 centros regionales de inversión no garantizan su dinero porque al igual que todas las inversiones, tales inversiones EB5 también vienen con “riesgo”. Sin embargo, todos los centros regionales de inversión EB5 deben pasar por el escrutinio y revisión exhaustiva de su plan de negocios por el USCIS antes de que puedan ser aprobadas como EB5 centro oficial de la inversión regional. Por lo tanto, la mayoría de los centros regionales de inversión EB5 son una apuesta segura, pero es “siempre” recomendaría que hacer a fondo la debida diligencia antes de comprometer sus fondos a cualquier inversión. Nuestros abogados pueden ayudar con la elección de un centro regional de inversiones EB5 que se ajuste a las necesidades de los clientes, actuando como su representante en contacto con los centros regionales de inversión EB5. El USICS mantiene una lista de numerosos centros regionales “aprobados” EB5 de inversión que se pueden encontrar haciendo clic aquí. Tenga en cuenta que hay una cuota anual de sólo 10.000 visas de inversionistas EB5 anuales puestos a disposición de todo el mundo a los extranjeros. Solicitudes de visado inversionista EB5 normalmente tienen 3-6 meses dependiendo de la integridad de los documentos justificativos y la carga de trabajo de la Embajada de Estados Unidos en el país de residencia. This entry was posted in News on July 24, 2013 by Elias Kier Joffe. Do You Need an Argentina Probate lawyer? Deciding whether to hire a Argentina Probate lawyer is an important decision. The first issue is whether you need a Argentina Probate lawyer. The involvement of a Argentina lawyer who is experienced in Probate international cases will provide to the client with a full understanding of their rights and responsibilities. An experienced Probate lawyer can also help to avoid future legal problems that may arise. 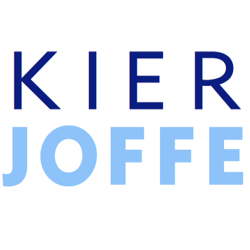 The proven Argentina Probate lawyer at the Kier Joffe lawyer have experience working with foreign clients involved in all kind of international cases in Argentina. Argentina Argentina lawyer professionals are knowledgeable in almost all the practice areas of law, to service its international cases in Argentina Argentina. International clients will have the confidence of knowing that the case is being handled by an experienced and knowledgeable Argentina lawyer in Argentina. This entry was posted in Blog on June 27, 2013 by Elias Kier Joffe.